If the business is to thrive, it must adopt the best management and productivity solutions. For Vodafone, the best way of doing this is to embrace the very products and services it sells to its customers. This strategy demonstrates faith in its products, but also ensures Vodafone benefits from the insight of a user. Vodafone is a global business that operates at a scale almost unimaginable to smaller businesses: £42 billion in revenues, with operations in locations as diverse as India, Spain, New Zealand, Singapore and South Africa. If Vodafone is to lead the telecommunications sector, it must demonstrate it is embracing the latest technology and move towards a Digital Workplace. Fortunately, these solutions are already on its roster, and the best way of proving Vodafone has faith in these products is by using them. “Our employees consume the tools and services offered through our Enterprise Business, driving the flexible and productive digital workplace for Vodafone,” explains Robert Leeson, Head of Global Office IT. The company wants employees to enjoy the best access to the latest digital tools. It wants to create a productive, flexible and easy to use platform for collaboration, as well as ensure a consistent user experience. And it must do so in a way that is both scalable and manageable. However, at the same time, Vodafone must also ensure the security of corporate data. It must be able to manage the data and, if necessary, the devices. Enterprise mobility is both a threat and an opportunity. This adaptability will produce benefits to employee efficiency and effectiveness, employee morale and engagement, as well as real-time, worldwide collaboration. It establishes a workforce that is global, mobile and connected. All that Vodafone needs to do to achieve this is simply adopt its very own products and services, as it’s already doing, and become the #1 ambassador of its own solutions. 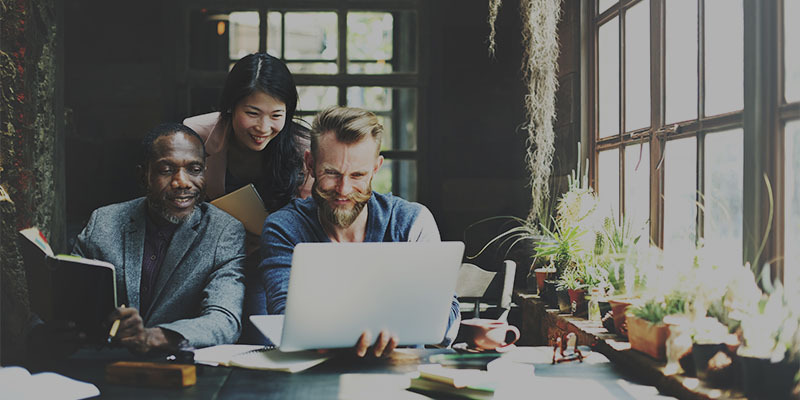 The Vodafone Digital Workplace strategy involves the adoption of Microsoft Office 365, Vodafone Secure Device Manager, Vodafone One Net and Pexip, as well as the improvement of Vodafone Contact Centre. Vodafone has deployed a suite of online Office 365 productivity tools, which includes Yammer, OneDrive, OneNote, Office Online and SharePoint Online. The initial roll-out includes 97,000 users in 12 major markets. It ensures centralised governance while allowing flexibility for local markets. Enterprise Mobility Management is handled through Vodafone Secure Device Manager (VSDM) and secures over 55,000 managed devices. This provides a comprehensive inventory of smart devices being used by employees, whether supplied by the company or the user’s own. Vodafone can manage the device and data from anywhere, at any time. “We truly believe in working productively and securely from anywhere. VSDM helps us boost productivity without compromising security and at the same time, allows work to be something we do, rather than a place we go,” explains Jeni Mundy, Group Enterprise Product Management Director for Vodafone. Vodafone One Net allows Vodafone to converge mobile, fixed and desktop communications onto a single, managed cloud platform, accessed from anywhere on any device, allowing over 23,000 Vodafone employees in the main six European markets (Germany, Spain, Portugal, Italy, Netherlands and UK), to be reached on one number. Pexip is a next-generation, scalable conferencing platform which virtually connects any communication tool, including Skype for Business for more than 147,000 users, with traditional video conferencing. Vodafone has created 3,000 collaboration-enabled endpoints using this solution. Using Vodafone Contact Centre allows the business to merge 23 local helpdesks into three major hubs supporting nine markets. By pooling 130 help desk agents, Vodafone can build in flexibility and consistency in its user support. Vodafone is aiming to become a reference as a digital workplace by using its own solutions to promote flexibility and collaboration with its employees.